Lallemand Animal Nutrition is pleased to announce that two new aquaculture experts have joined the team to support a rapidly growing market. 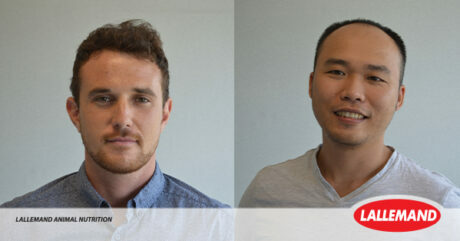 François CELLIER (on the left) and Khuong Duy NGUYEN (on the right) have both been appointed as Aquaculture Technical Support Managers, based in France and Vietnam, respectively. 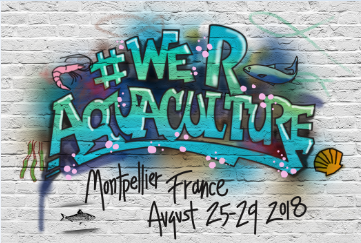 CELLIER holds a MEA in aquaculture from CNAM/INTECHMER in Montpellier, France. Prior to this he obtained a professional license in Quimper and Sète, France, in aquaculture technics and farm management. He has practical experience in aquaculture production and using testing technologies across species including shrimps, fish and shellfish in Asia, Europe and Oceania. He will provide technical and marketing support on tropical aquaculture globally. NGUYEN holds a master’s degree in aquaculture majoring in aquaculture health management from the Laboratory for Aquaculture and Artemia Reference Center, Faculty of Bio-Engineering, Ghent University, Belgium. He has studied aquatic pathobiology at Can Tho University in Vietnam. NGUYEN brings valuable experience in shrimp farming research, especially in bioremediation and health management. He will oversee shrimp research and development trials and contribute to developing the Lallemand Animal Nutrition aquaculture business in Vietnam.